Melbourne technology and innovation hub YBF Ventures and Linfox are partnering to unlock new and innovative ways to further reduce environmental emissions by optimising fuel consumption in what has been dubbed FuelHack. From May 9, FuelHack participants will have 28 hours to tackle challenges such as route optimisation, fuel-price tracking, driver behaviour monitoring and the use of telemetry for fuel economy in the search for the most cost-effective and environmentally responsible transport solution. The hackathon aims to further reduce carbon emissions across Linfox’s fleet and the proponents observe that an optimisation of just one per cent can significantly lower carbon emissions across a large network. This is the second hackathon Linfox has helped conduct this year. "Linfox has been at the forefront of supply chain management and logistics for more than 60 years," Linfox chief technology officer Nick Delijia says. 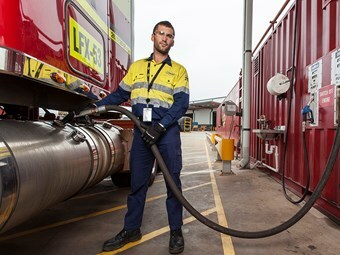 "In 2019, Linfox looks forward to working with YBF Ventures to find stand-out technological solutions to optimise our fuel use. We can’t wait to see what the hackathon teams come up with." May 10 will see the teams presenting their solutions to guests, coaches and judges. The winning innovative solution will receive $8,000 cash and the runner-up will receive $2,000 cash. Both will receive desk space to work out of YBF Ventures’ headquarters in Melbourne’s CBD. "Being able to leverage our unparalleled network of start-ups and partners to help Linfox solve this challenge is fantastic," YBF Ventures CEO Farley Blackman says. "I have no doubt that the participants will come up with some exciting ideas that will help drive Linfox into the next decade." On the first day, Linfox CFO Michael Pickard will personally welcome participants, Linfox CIO Conrad Harvey will run the teams through Linfox’s current use of technology and YBF Ventures chief of staff Jason Lim will coach attendees on making the most of a hackathon.